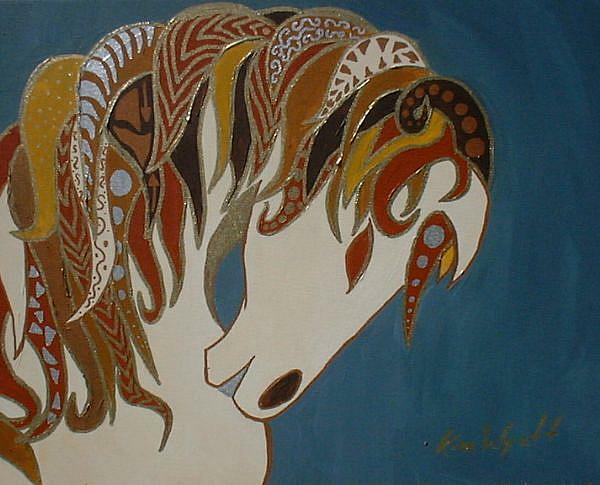 Inspired by home improvement TV shows that make use of earth tones in home decorating this stylized horse painting uses layers of flat, gloss and metallic paints combined with metallic ink pen details to give the it's mane fullness and a sense of motion. 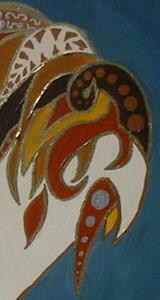 The pattern motifs were taken from items like coins and animals like giraffes, tigers and zebras. 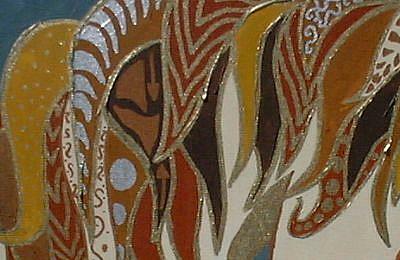 I've combined the girlish love of horses with the notion that they have become novelty creatures to make my idealized paintings. 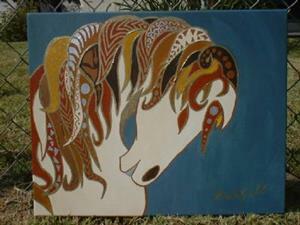 I'm pleased that my paintings have appealed to so many horse lovers. I strive to convey the essence of the horse, their beauty, nobility, power, sensitivity and grace in my paintings.